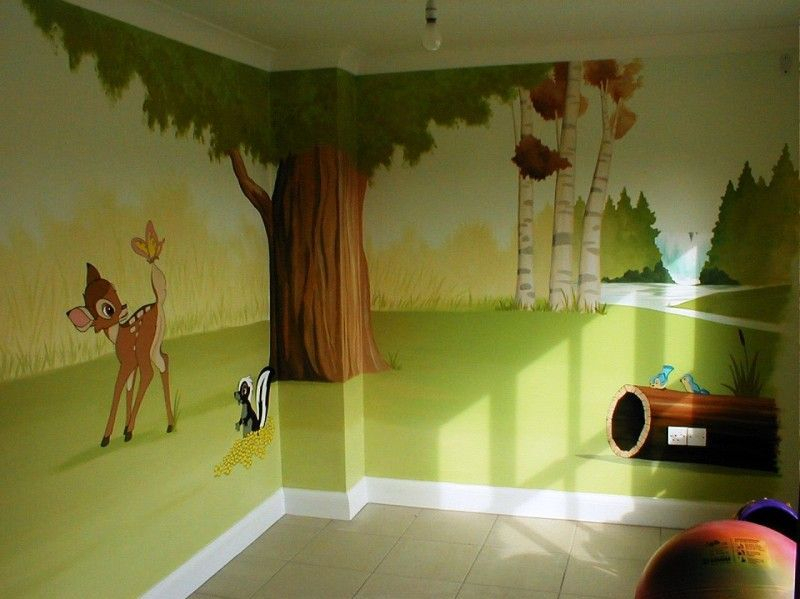 This is a simple scene featuring a waterfall and various characters is painted on all four walls of an 8ft x 7ft baby's bedroom. Note the gentle yellow sky that gives the mural a much warmer feel than blue would. Completed in 3 days.